Sholay Events would like to pay tribute to, and mourn the tragic loss of, William Brandon Lacy Campos, activist, artist, writer and poet, who passed away suddenly this past weekend at the age of 35. Campos served as a board member at Audre Lorde Project from 2010-2012 and was the former Co-Executive Director of Queers for Economic Justice (QEJ), a non-profit organization committed to promoting economic justice in a context of sexual and gender liberation. He was the author of the poetry collection “It Ain’t Truth If It Doesn’t Hurt” and a contributor to the critically-acclaimed 2011 anthology “From Macho to Mariposa: New Gay Latino Fiction”. According to Colorlines , Campos was born in Minnesota and became an activist in his teens and the co-chair of the National Queer Student Coalition at age 20. He also “wrote and spoke passionately about not only the broader political landscape, but also about his own emotional journey and challenges as a queer person of color” and his status as an HIV-positive man and battle with crystal methamphetamine. 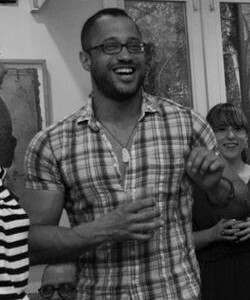 Brandon was an integral member of our community and friend and colleague to so many dear to us. He will be sorely missed by all of us.